Letter providing responses to Cullen titled 'Queries Concerning Miss I. 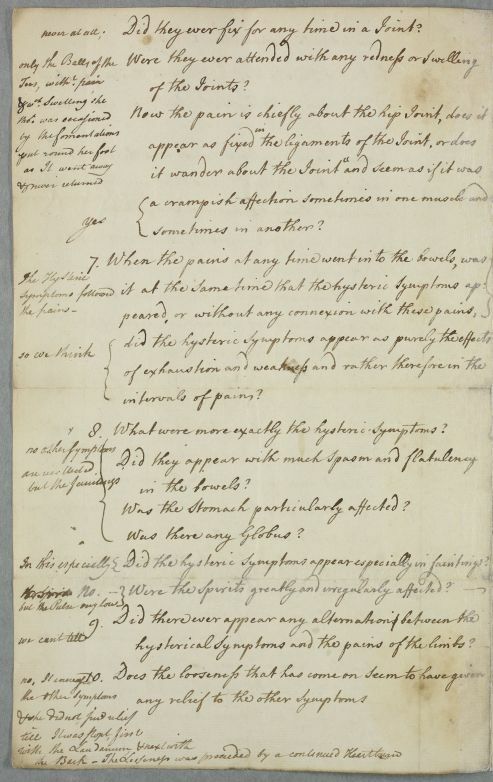 ', in the form of a numbered list of questions about her state of health between Winter 1769 and April 1771. Answers to Cullen's questions written in the margin. 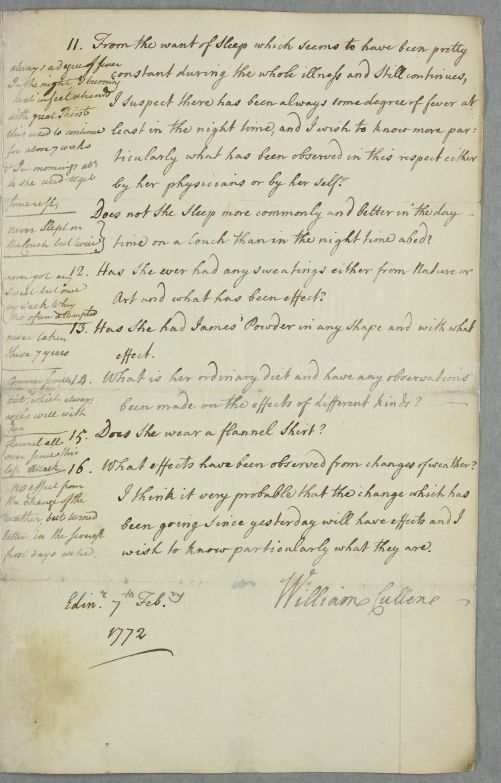 Summary Letter providing responses to Cullen titled 'Queries Concerning Miss I. 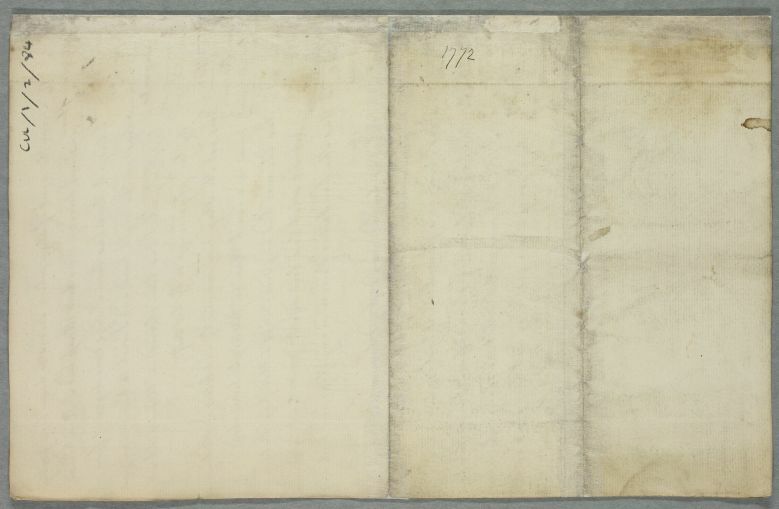 ', in the form of a numbered list of questions about her state of health between Winter 1769 and April 1771. 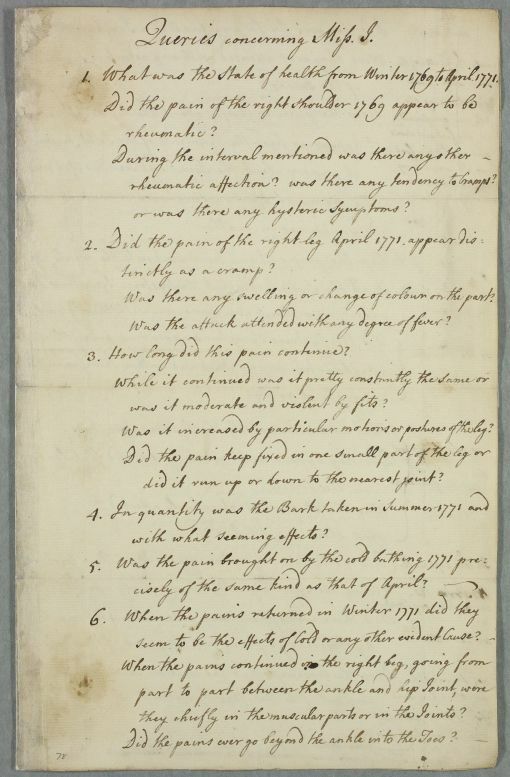 Answers to Cullen's questions written in the margin. Case of 'Miss I', who has had pains in her shoulder and leg. [PERS ID:1033] Patient Miss I. 1. What was the State of health from Winter 1769 to April 1771. Did the pain of the right shoulder 1769 appear to be rheumatic? rheumatic affection? was there any tendency to Cramps? or was there any hysteric Symptoms? Was there any swelling or change of colour in the part? Was the attack attended with any degree of fever? 3. How long did this pain continue? was it moderate and violent by fits? Was it increased by particular motions or postures of the leg? did it run up or down to the nearest joint? they chiefly in the muscular parts or in the Joints? ✍8. What were more exactly the hysteric Symptoms? Was the Stomach particularly affected? ✍16. What effects have been observed from changes of weather?